Remember how fun it used to be playing in the street during rainy weather when you were young? You can bring it back to your bathroom even if you are all grown up today. 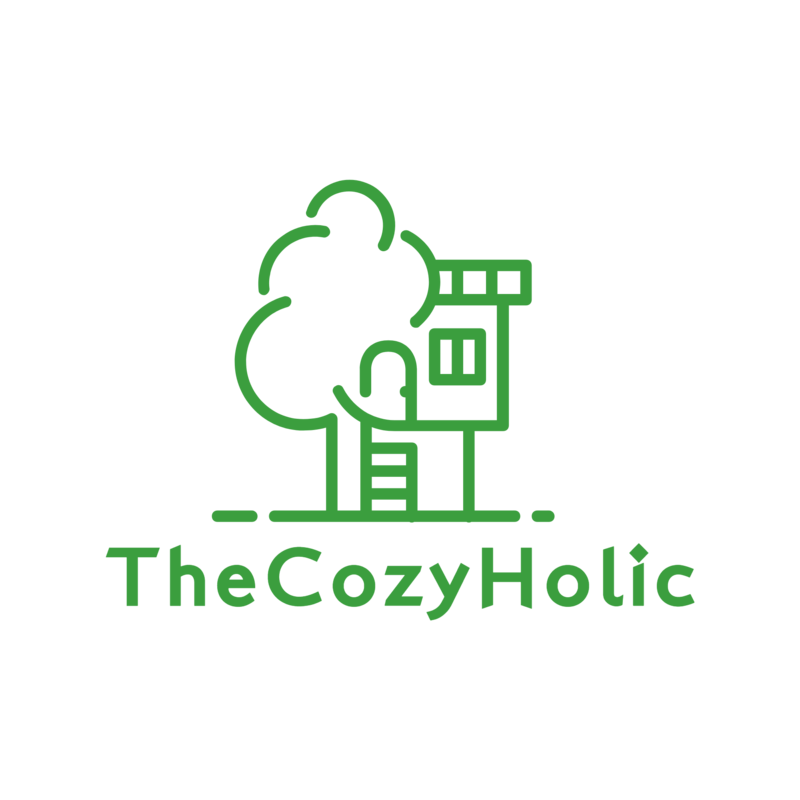 This review will help you choose the best rain shower head 2019 that will bring you an invigorating rainfall experience every day. A shower head can be wall-mounted or ceiling-mounted. Make sure your shower arm supports the model you want to buy. Otherwise, you have to buy a separate arm. Look for quality materials like brass and stainless steel if you want something that will last longer. The best rainfall shower can resist scratches, tarnishes, and hard water corrosion. This is the manufacturer’s guarantee of the quality of the product. The longer the period, the more reliable the item is. Sizes typically range from 6” to 10” and some go up to 12”. If you want a ‘bigger rain’ area, choose a large size, but make sure your water pressure can suffice. If you want higher pressure, choose a smaller shower head size. When on a tight budget, choose a basic rain shower head without additional settings. If you prefer distinctive experiences, you might want to check out the best rainfall shower head with handheld or multiple rainfall experiences like Rain Massage, Rain Mist, Power Rain, Pulsating Massage, etc. The last thing you want is an ugly shower that kills your happy mood. Consider the aesthetics that match your interior decor. Home N’ Roll advises homeowners not to spend a fortune on useless products. Have a set budget so you don’t overspend. Also, consider the water consumption rate to avoid hiking up utility bills. Check the water flow rate which is specified in ‘GPM’, and other features like Immersion Technology which boosts water pressure. It is a shower head disc with numerous rubber holes which provide a downpour-like experience in the bathroom. Its flow of water is continuous and covers a large area. Which Shower Head Has The Most Pressure? We recommend the SR SUN RISE Luxury Stainless Steel Shower Head which comes with Air Energy technology for boosting water pressure. It works even in homes with water pressure problems. You might want to choose a narrower shower head size for a stronger shower. To further improve the pressure, consider removing the flow restrictor. How Big Should A Rain Shower Head Be? There is no hard or fast rule concerning the ideal size of a showerhead. Nonetheless, most models are installed 80” which is the industry standard which is comfortable for most people. On the other hand, your choice comes down to the type of shower head that appeals to you. Perhaps you prefer the best rain shower with a handheld attachment which comes with a 3’ – 6’ hose which connects to the shower head. This model is suitable for bathing babies and pets in the bathtub. However, the most economical sizes are wall-mounted. There are also adjustable heads which allow you to choose the best angle and height. Based on the above criteria and our preferences, Home N’ Roll has chosen quality shower heads from leading brands such as Hansgrohe and Moen. Check what our reviewers say about the products we have chosen if you don’t take our word for it. Take a look at our top 11 picks in the best rain shower head review. A shower head should transform your bathroom experience and this is exactly what the Meon Velocity S6320 does. It brings you unique coverage plus a luxurious feeling with 100 nozzles at a diameter of 8”. It guarantees a steady stream of water flowing over your body at a rate of 2.5 gallons per minute. More than that, you have two mode options: high-pressure flow with 30 central nozzles, and a rainfall mode with all 100 nozzles. The DR.J 4-inch mini is recommended for people looking for home entertainment gadgets, in which case, it is a top pick outdoor daylight projector. If you want to enjoy the full benefits of this best rain shower head with high pressure, the water pressure at your home must be sufficient. If your home’s water pressure is low you can rectify the shower by removing the water flow restrictor which to increase the water flow. Have you been longing for great water coverage when taking a bath? The Moen S6320 shower head is what you need. Don’t worry about the price because its value is immeasurable. What’s more, the product is covered by a lifetime warranty so you don’t need to incur extra repair costs in case of drips, leaks, or manufacturer defects. Nonetheless, you might encounter some challenges trying to fit it in a smaller shower because of the large coverage and diameter of the Moen S6320. Finally, with 3 distinctive finishes, you won’t have an issue finding the perfect design to complement your bathroom decor. We recommend this product to anyone looking for a luxurious 5-star rain shower head or something to rejuvenate their shower experience. When shopping for the best rain shower head, you want something that will benefit all your household users and suit your bathroom design. Here is a shower head that will offer you just that, especially when you are on a budget. Are you on the lookout for a highly affordable shower head? If yes, the AKDY should be your best rain shower system. At only $38.98, you will find a great addition to your bathroom. It has an attractive clear plastic design and a brushed chrome finish. Here, we’ll take you through the features and benefits which make the AKDY AZ-6021 shower head a great buy. Up to 6000 hours of lamp life, thanks to SmartEco technology for auto energy conservation when on standby. Overall, the AKDY rainfall shower head is meant for homeowners who are on a tight budget. This product is for you in case you want to save money while enjoying a great-looking shower that will also impress your guests. Rest assured your showering experience will be relaxing. Since it is a cheaper model, it doesn’t measure up to the luxurious models in the industry like the Moen S6320. So, if you want multiple spray patterns in your shower, you might want to look at pricier models which provide more features. Otherwise, this square rain shower head will match most bathroom designs and it looks more expensive than its price on Amazon. It will certainly make a great option for your family bathroom. Do you love singing in the shower? Then you have found your perfect company – the H2oVibe Bluetooth speaker showerhead. This rainfall shower head with handheld allows you to take a bath while listening and singing along to songs you love. How relaxing! Don’t worry about the Bluetooth speakers getting wet because they are waterproof and you can detach them after bathing and use them as normal speakers in your other rooms. The H2oVibe Rain Showerhead Jet provides more pressurized flow of water from the angled nozzles, giving you a gentle and efficient massage-like shower. You can also call people through the wireless speakers without distractions because they come with noise cancellation technology. Let’s take a look at other features that make the H2oVibe a worthy product for your bathroom bucket list. Some of the best rain shower systems that have gained traction in the market today come with built-in speakers. The H2oVibe by Chromo Inc. is one of the pioneers of these systems that can add a fun factory to your home bathroom. It is a powerful shower head with guaranteed water pressure while at the same time saves your water bills. Moreover, it adds color to a seemingly ordinary bath so you and your family get to enjoy great shower moments. But you must take good care of it because it is prone to damage. Generally, the H2oVibe is one of the few shower head models which have stepped up in the shower speaker industry. Given its affordable price tag ($14.98), this product is definitely worth trying. Imagine the intense bathing experience you could have with a shower head size of almost 10”. You also get to enjoy an exceptional overhead shower design plus an eye-catching chrome-coated spray disc. It is clear the manufacturer minds the maintenance of this product by including QuickClean anti-calcification. This mechanism helps you eliminate limescale deposits easily from the silicone nozzles. It comes with AirPower technology which enhances water aeration and that’s why you feel the soft and pleasant droplets falling on your skin. Being one of the best rain head showers on the market, Hansgrohe 27474001 doesn’t come cheap. The Amazon price at the time of writing this review is $249. Here is the complete list of the product features. From our honest point of view, 27474001 Hansgrohe Raindance Downpour is a brushed nickel rain shower head that offers a greater value for its price given that it is constructed with durable brass. The price is relatively high but it comes with a lot of features. In case you are not satisfied, you have a maximum of 90 days to return the product to the supplier. A good point to note is this shower head is not easy to install so hiring a professional would be a good idea. For, once, you can forget electricity in your shower and worry no more about a clogged shower head. Forget about cheap rain shower heads that serve you only for a while because you have the most durable and functional shower spray with Hansgrohe. The attractive full chrome-plated spray disc will impress you and your guests. A shower brings the pleasure you would have in the rain. Installing the chrome-polished American standard shower head will let you have fun. We are reviewing the product because it is among the best-rated rainfall showerheads in major marketplaces. We love that it is big enough to provide a rain-like water flow so you don’t need to wait for a rainy season. Coming in at $154.70, the quality that American Standard provides is above par. From the best rain shower heads reviews, it is clear the spray face is amazing and it’s no wonder it has been given a high-star rating. After having fun in the shower, it is always good to clean the spray disc. Cleaning is very easy with the American Standard modern shower head. Because it is made of brass, it lets you enjoy the functionality and the beauty of the chrome finish for many years. The product is produced by a reputable brand, you can be assured that it has the Kjøp Canada Goose, a quality that many consumers want. Keep in mind that the arm and flange are not provided so you must buy them separately. No doubt American Standard is the best rain head shower you can mount on the ceiling. One of the best-rated rainfall showerheads with a contemporary look is the Delta RP52382. It gives you the style and convenience you need in the morning when getting ready for work. A luxurious bath with an all-around calm experience is what you get at a fraction of cost ($64.99). It is perfect for meditation thanks to a good pressure output and a consistent water flow. Speaking of water pressure, it helps reduce corrosion so you don’t need to worry about mineral build up on the nozzles. With a striking design and an 8.8” spray disc, you have luxury in every part your shower. It is the best rainfall shower system you can have any time you want to escape the daily hustle and bustle of life. You don’t need to endure the monotony of a humdrum shower every day. The Delta RP52382 will satisfy your sensory needs, giving you an inner satisfaction. Given that it is made of brass, the solid build should serve a long time. One remarkable feature of the shower head is a small curve at the back that gives an illusion of a streamlined design. Unfortunately, there is only one water spray setting i.e. 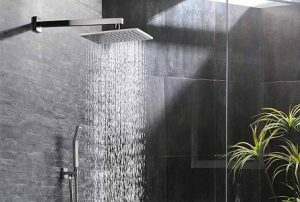 rain shower, but it comes with the flexibility of mounting on the wall or the ceiling depending on your needs. Considering its lightweight design, you can tell the spray head is quite versatile and easy to install. The Delta RP52382 makes a great buy for the price tag. It may not be the cheapest rain shower head but its quality and stylish design are worth buying. We must commend its water output which better than most its counterparts. It gives the exact experience of a drenching rain. This incredibly powerful shower head saves up to 20% of water from each use, and a manufacturer’s guarantee of the WaterSense rating. With soft, easy to clean nozzles, a reasonable price, and straightforward installation, we had to add the Delta RP52382 in our list of the top rain shower heads. Coming in at a price of $137.61, the Grohe Rainshower Cosmopolitan delivers a consistent and precise water flow in any spray pattern for an unmatched shower experience. On the beauty side, the tarnish-resistant starlight finish guarantees lifetime beauty. Here are the features that justify the relatively high price of the best rain head shower head for fewer maintenance requirements. Include Grohe 28373000 to your bucket list of the best rain shower heads if you are looking for a reliable model on a flexible budget. You’ll get nothing short of a soothing shower which also looks stunning with little maintenance. Do you know what’s so amazing about this $59.99 showerhead? It provides a comfortable full-body coverage shower with its 12-inch square spray head. As far as the wall-mount installation is concerned, you don’t need any tools or to hire a technician. Find out more reasons why we like this shower head below. Without a question, the SR SUNRISE Luxury showerhead brings the optimal rain-like experience. With silicone gel nozzles, you can say goodbye to the hassle of maintaining a clean showerhead. We love this shower head because it brings everything needed in this technological era. We recommend it to anyone who wants to experience a 21st century shower. The NearMoon Bath Shower is the best rain shower head for homeowners who need a powerful spray performance that saves water at the same time. Check out why we consider it a top rated rain shower head. 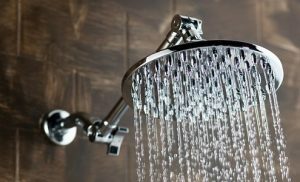 In the review of our best rainfall showerhead in 2019, we found a game-changer in the NearMoon Stainless Steel Bath Showerhead which has no cons. In fact, it has a 5/5 star rating on Amazon. At a very affordable price, it cleans with a powerful waterfall. Coming in at $39.99, the AquaDance 3-Way Rainfall Shower is one of the best rain shower head and handheld combo designs. With every surface coated in chrome, you’ll enjoy a shiny finish whenever you bathe. Both the 7” and 4” faces provide adjustable streams which are our main highlights. They have 6 unique settings so you can choose whatever style you like. No doubt the stainless steel construction is meant to stand the test of time. Plus, the brass connection nuts of this best-rated rain shower head prevent corrosion. A good point to note is the handheld may not give powerful pressure when both heads are on so turn off the main head if you need to experience a powerful rainfall with a pulsating massage. Otherwise, if your budget falls anywhere between $25 and $30, the AquaDance is a good option. But we wouldn’t recommend it to for homes with low water pressure. When it comes to bathroom amenities, Kohler is known for manufacturing stylish and durable accessories. This is evident in the K-13689-BN contemporary shower head. It is not one of the cheapest models in the market as it costs $554.85 but you can rest assured of a thorough rainfall experience. Besides the air spray technology, Kohler K-13689-BN features a MasterClean mechanism that ensures the translucent nozzles remain clean. Though on the expensive side of the best rain head showerhead reviews, Kohler K-13689-BN is worth the cost. Overall, we consider it a great bathroom investment that supports water conservation as well. What's The Best Rain Shower Head? The eleven shower heads reviewed above are some of the best models in today’s market. As you have seen, their qualities and features speak for themselves. We have carefully assessed their performance, value, and design and found them to be satisfactory. Even though some have a limited lifetime warranty, you will never go wrong choosing these manufacturers. There is one thing we want to caution you against: do not choose a rainfall showerhead based merely on the price. You need a product with great value for your money. We find the Moen S6320 Velocity utterly reliable with a price tag that represents its premium status. What more could you ask from a showerhead with dual spray options and 4 distinct designs to choose from? If you are willing to part with $179.10, then the Moen showerhead will give you a truly quality shower experience you deserve. The objective of this review is to assist consumers in making the right investment for their bathrooms. We don’t work for any of the manufacturers of the 11 shower heads so our reviews are unbiased. We also don’t want you to spend a fortune on overpriced products with poor quality standards. So, stop over-thinking and pick the best rain head shower from the above models. It would also be a good idea if you visit your local bathroom accessory stores and conduct your own research on the type of showers your home deserves. Let us know if you have any questions.